Musician, comedian and laughter workshop-leader Laraaji joins Mary Anne to explain how people could benefit from giggling a little more often. 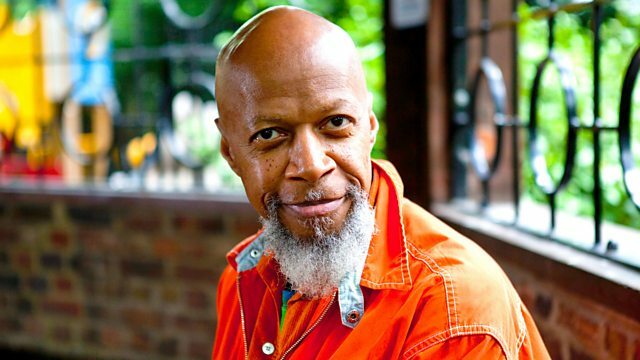 Learn how to laugh more with musician, comedian and healer Laraaji. He'll explain how we would all benefit if we'd just giggle a little more often, and lead a laughter workshop for the morning. Haha. Born Edward Larry Gordon in Philadelphia, Laraaji was discovered by Brian Eno in 1979 while busking on his zither in 1979. He released 'Ambient 3: Day of Radiance', the third instalment of Eno's Ambient series. He has since put out more than forty five albums. Laraaji is also a student of Eastern mysticism and creator of the Laughter Meditation Workshops which he presents around the globe. Expect belly laughs, titters, comedy songs, and healing music ... Mary Anne will guide you through.